Built in the early 1920s, Kezar Stadium was the home of the San Francisco 49ers for over two decades. In 1922, $100,000 was accepted from the estate of Mary A. Kezar to erect a memorial to her mother and relatives. The San Francisco Park Commission accepted these funds and appropriated an additional $200,000 to build a new stadium. Construction began and was finished in only one year. Dedication ceremonies were held at Kezar Stadium on May 2, 1925, when a two mile race was held at the venue. It wasn’t until 1946 that the San Francisco 49ers football team was founded and Kezar Stadium was adopted as their home stadium. The 49ers played their first game on September 8, 1946 against the New York Yankees. One tier of bleachers that could hold 59,942 fans circled the entire field. The 49ers played 25 seasons at Kezar Stadium before moving into Candlestick Park in 1971. The team played their last game at Kezar Stadium on January 3, 1971 against the Dallas Cowboys. Kezar Stadium hosted many other events before being demolished in 1989 after suffering extensive earthquake damage. 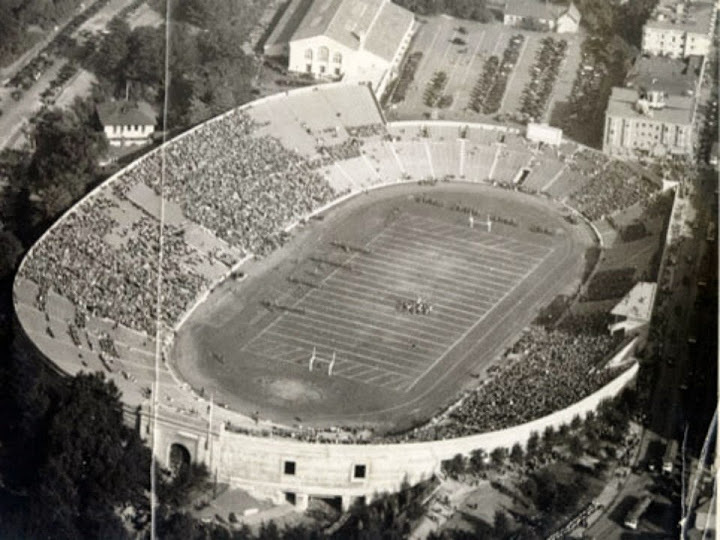 However, Kezar Stadium was reconstructed providing seating for 10,000 fans. The new stadium features an all-weather track eight lanes wide, a soccer field and two scoreboards.